A Sign of the Times: From Better to Good to ??? A New Direction for Women’s Service Journalism Magazines? 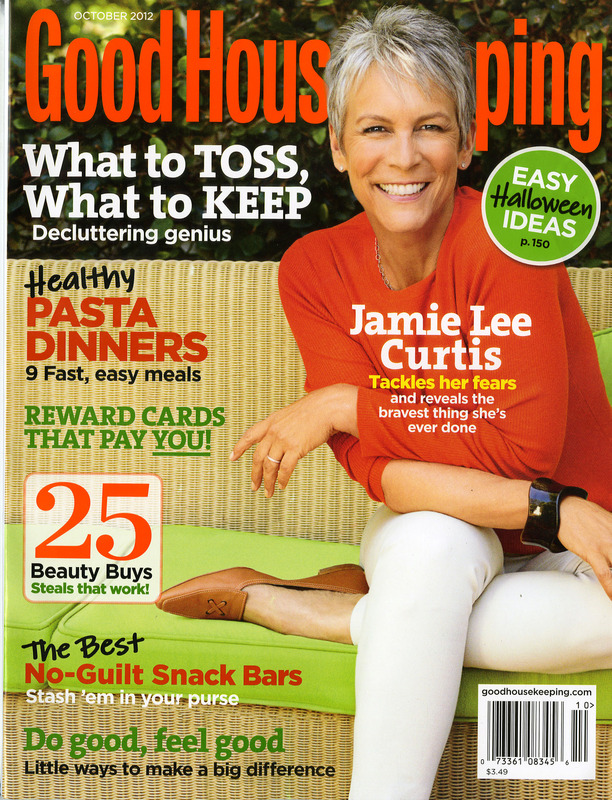 The two grand dames of the women’s service journalism magazines, Better Homes and Gardens and Good Housekeeping, are making careful, but drastic changes when it comes to their modus operandi. Both magazines seem to be are treading, albeit very carefully, into very murky and uncertain waters. 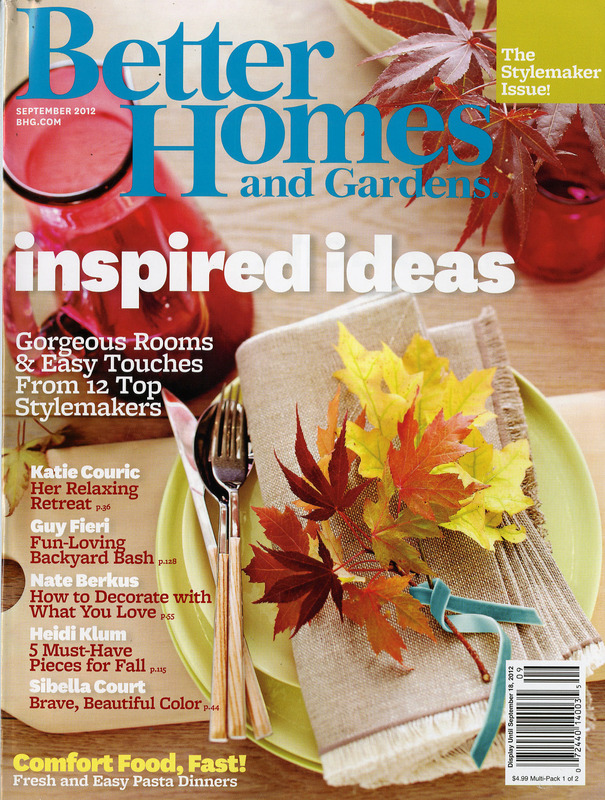 Better Homes and Gardens is testing a complete departure from its founder E.T. Meredith’s dictate for the magazine. The famous “no fiction, no fashion, no piffle, no passion,” seems to have left the station. Now, apparently, Better Homes and Gardens is treading into an area that some may consider different than that original mantra. Women like Michelle Obama and Heidi Klum are adoring the covers of the magazine. That should be a non-news item if the magazine was not BH&G. The first time BH&G ever had a woman on their cover was the August, 2011 issue and it featured the first lady. That issue also broke its 48 year streak of people-free covers. Now their September, 2012 cover actually has dual offerings, a test cover with Heidi Klum on it, on some of the newsstands and their tried and true home decorating photo on the inspired ideas issue on some other newsstands. But even more noticeable than the cover are the cover lines of both issues. Each cover line features a major celebrity and either their “how-to” advice or describes some personal detail about what they enjoy or how they relax. Katie Couric and her relaxing retreat, Guy Fieri and his backyard bash, Nate Berkus and how to decorate with what you love, and Sibella Court and her brave, beautiful color. This step toward celebrity-filled content is, I hope, a test. 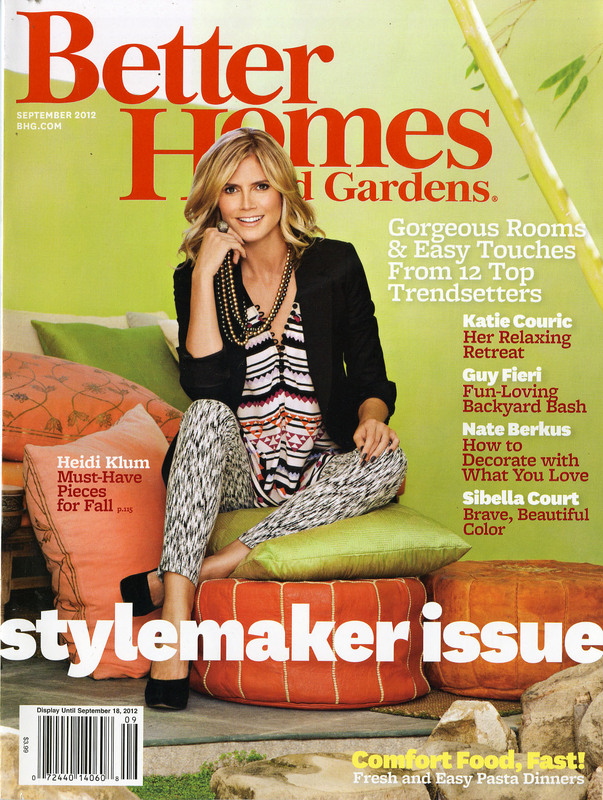 So iffy that BH&G didn’t even reflect Heidi’s cover photo on the table of contents page. Baby steps. The October, 2012 issue features three different covers as well. 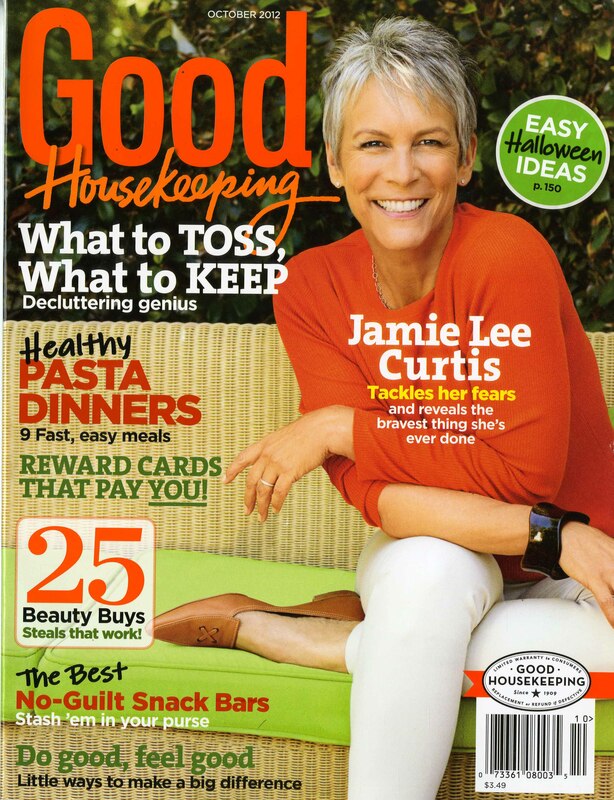 One has the lovely Jamie Lee Curtis sitting on a wicker divan with the top of her head gracefully blocking out the kee in “Keeping,” and the second cover has her, same position and divan, trying to compete with a giant “GOOD” that is stretched behind her head. 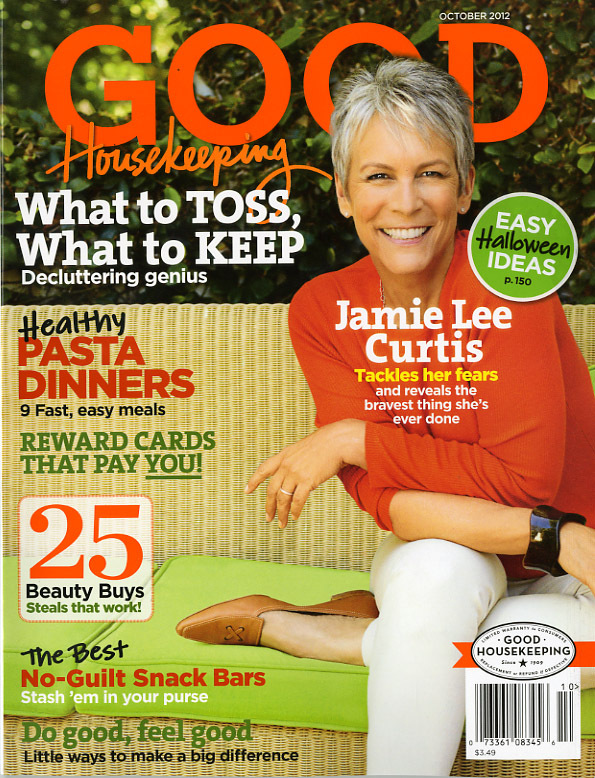 The third cover that I found had yet a different variation of the word Good. I have no problem with it…Good is good…but I only wonder why we are trying so hard to show our uncertainty through these major cover testings that lean toward a complete opposite criteria than these publications have held in such high regard in the past? When your content is good and you’ve proven that through years of success, such as with Good Housekeeping and Better Homes and Gardens, is it simply a way to stay relevant that we try to fix what isn’t broken? Or is it, more aptly put, our underestimating the power of print in a digital age and our fear that we won’t remain on the tip of our readers’ tongue if we don’t try something different? Yes, a sign of the times. A sign of the uncertain times, indeed. Click here to learn more about the ACT 3 Experience. Really interesting discussion on what these cover directions signify. Enjoy!